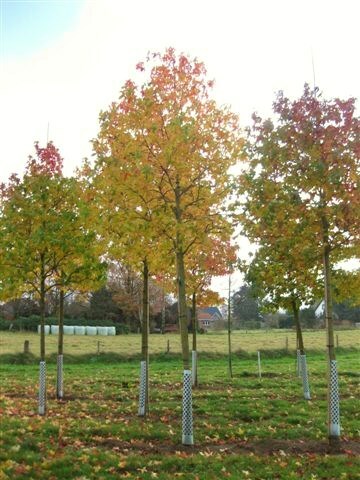 Liquidambar styraciflua or American Sweet Gum is a large, undemanding tree, which is pollution resistant. 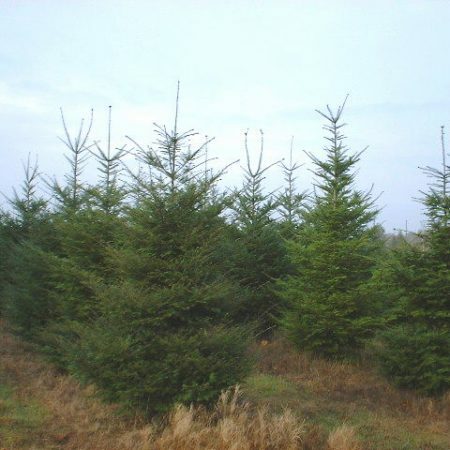 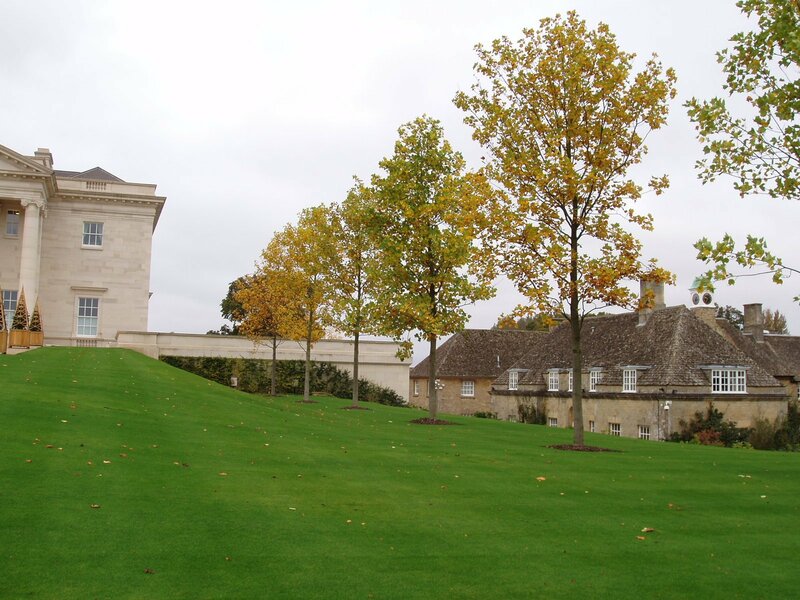 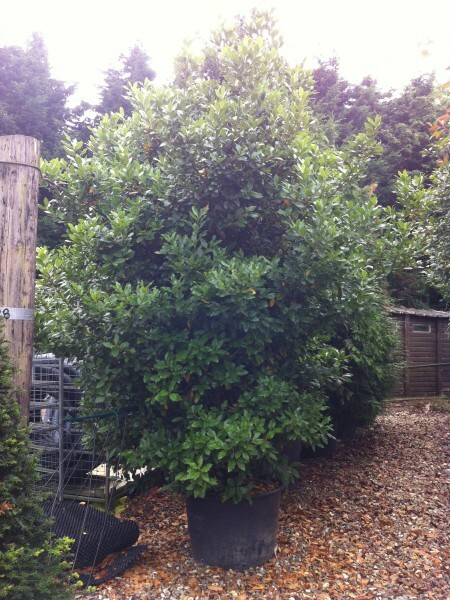 It originally grows in a broad, pyramidal shape but matures with a rounded crown due to its heavy top branches. 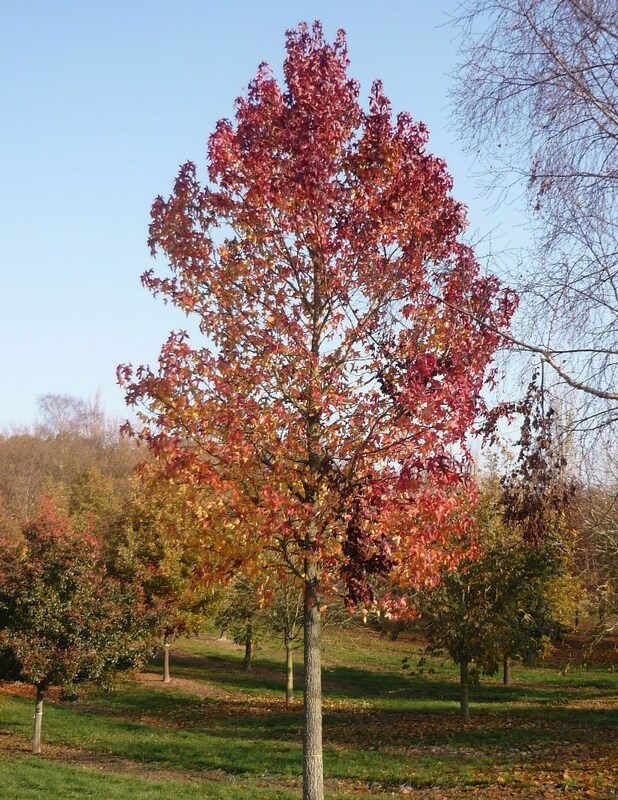 It produces large, 5-7 lobed, star-shaped leaves which emerge bright green in the spring then changing to fabulous red, purple and gold colours throughout the autumn; Liquidambar is one of the very best trees for autumn colour and one of the last deciduous trees to drop its leaves. 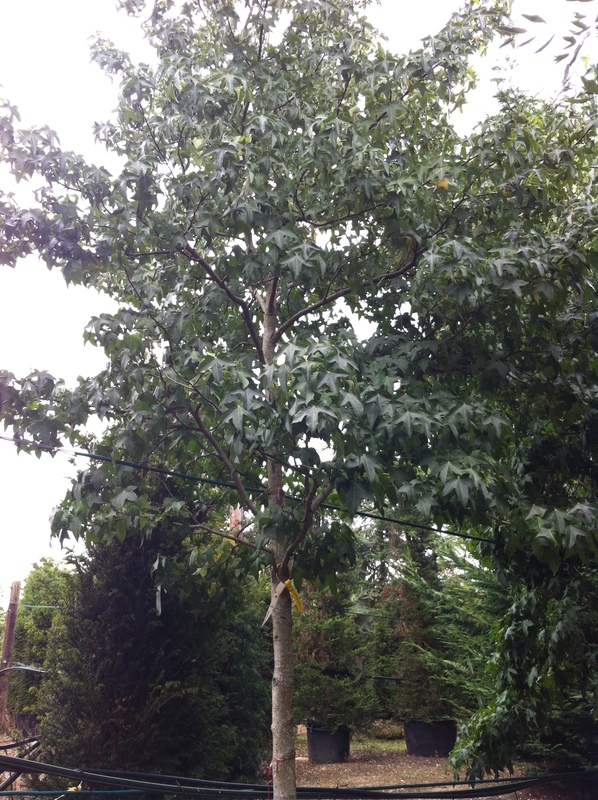 Due to the shape of the tree and its leaves, it can be confused with the Maple Tree. The Sweet Gum has attractive bark which serves as feature the whole year. 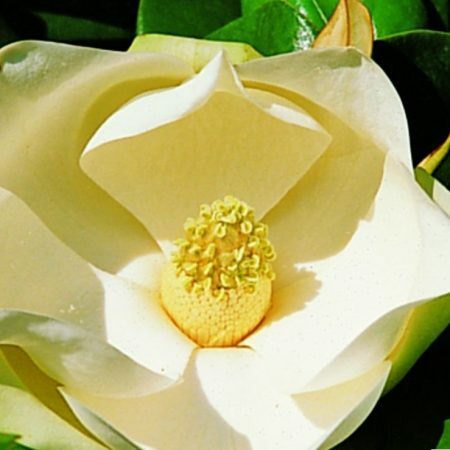 It also produces round, spikey fruits that grow on long peduncles.